I love to be in the kitchen. 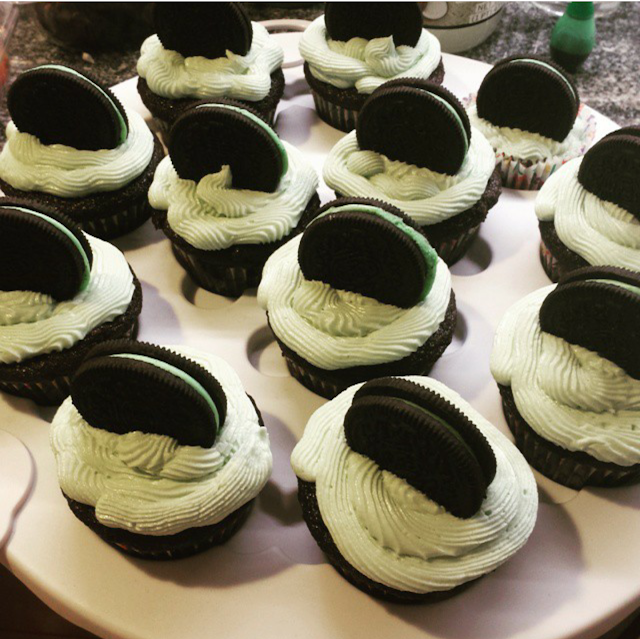 Cooking, baking, it doesn't matter, I love it. Since moving into our new apartment, I love it even more because our kitchen and living room are one giant room, so I can be in the kitchen and be social at the same time! 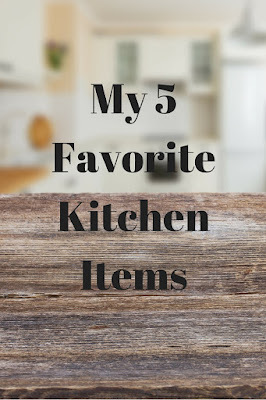 This Friday, I've come up with a list of my favorite kitchen items...the ones that I could probably live with out but definitely wouldn't want to! 1. KitchenAid Stand Mixer - I had been dying for a stand mixer for years before I finally got one. I know some people who keep there's out of sight and rarely use them. People like that baffle me. I keep my KitchenAid on the counter and use it at least twice a week. It's amazing and I love it. I use it for everything: baking (obviously), shredding chicken, making whipped cream...the list goes on! 2. Oxo Good Grips Garlic Press - I recently read a post that garlic press was a wasted of money. Umm what? I hate peeling and chopping garlic. My garlic press was $16 and it was worth every penny. I use it every single time I make dinner. Garlic is such a staple in the kitchen that this turns the process of peeling, smashing and chopping garlic into one easy step. 3. Cuisinart Blender/Food Processer - My sister gave me this at my bridal shower and I love it. The blender is the quietest blender I've ever used. The food processor is really loud, but it works great! It's one appliance with two different bowls and it's great to have both! I wish it juiced as well but hey, you can't have everything. 4. Collapsible Cupcake/Cake Carrier - This was a wedding gift that we had registered for as a "this would be fun to have" type thing. I never realized that I would use it constantly. It's amazing. It isn't entirely vacuum sealed but I've stored cucpakes/muffins in there for up to a week and had them tasting just as fresh as the day I made them! It's nice and tall so it won't destroy frosting on your cupcakes which is nice too! 5. Simple Human Garbage Can - I never would have imagined that a garbage can could have made this list, but these $100+ garbage cans are SO worth it. The stainless steel garbage can has changed my life. If there's something really smelly in there, you won't notice it until you open up the can. It's also designed to be really convenient, from the kick stand that holds that lid up for when you're taking the trash out to the slow close, it's everything you never knew you wanted in a garbage can. This was definitely a splurge, but it was well worth it! That's my list! 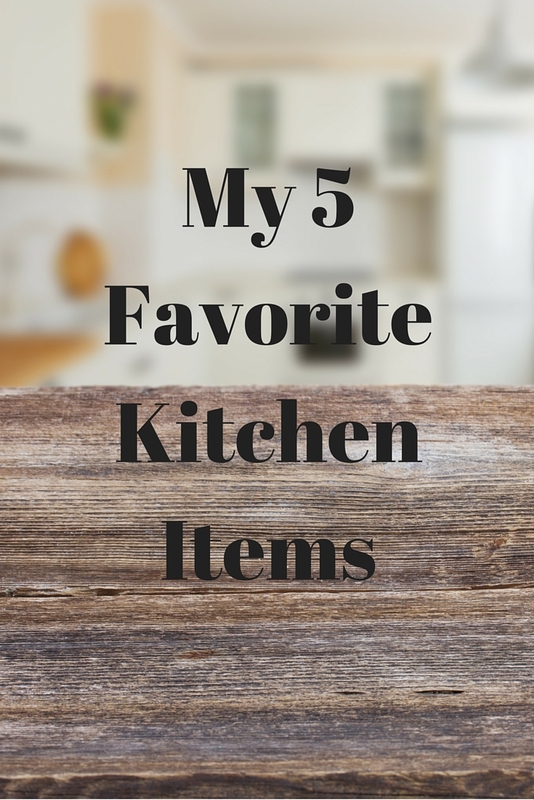 What are some of your favorite kitchen items? Did any of these make your list?